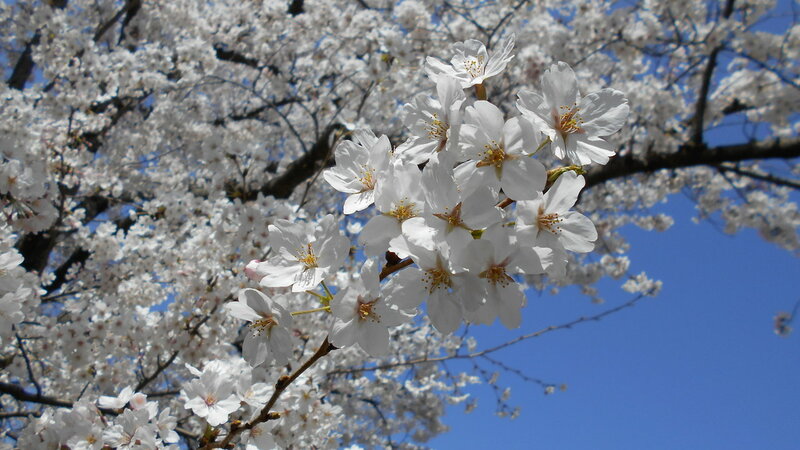 Cherry blossoms have been reached! April has come and it keeps getting warmer in here. I’m feeling a bit confused about the fact that I’m only going to be here for two more months. Time has gone by so fast. 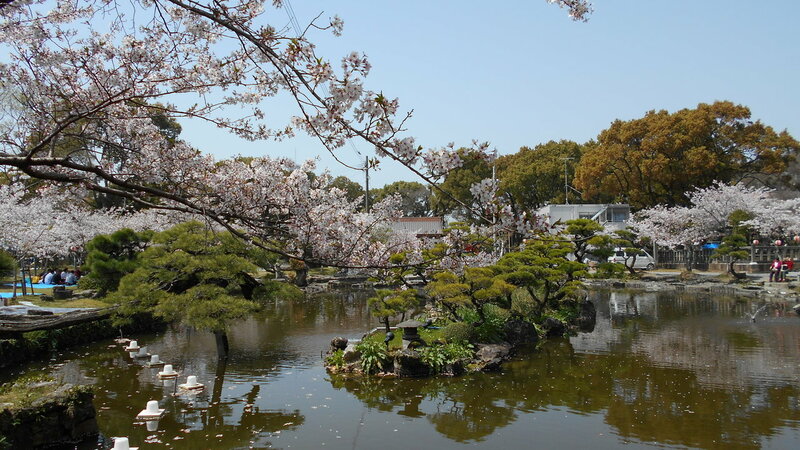 Last week we had a hanami (お花見- cherry blossom viewing) in Oohori Park as a part of our Japanese lessons. 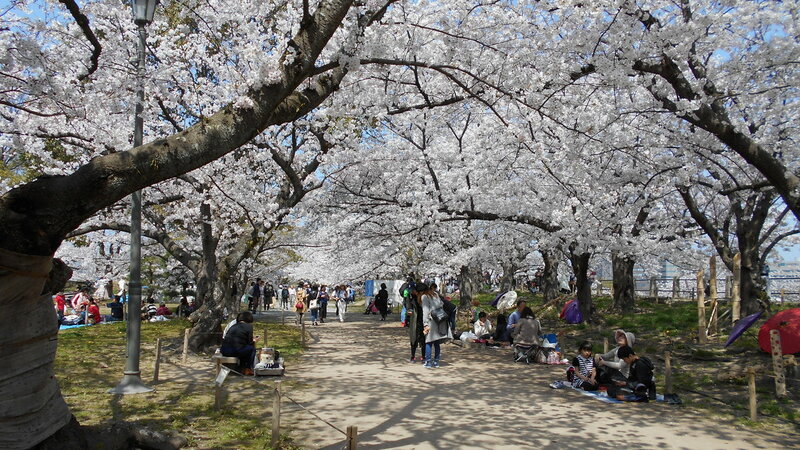 Hanami is a Japanese custom and people go on picnics in parks and enjoy the beauty of Spring flowers together. 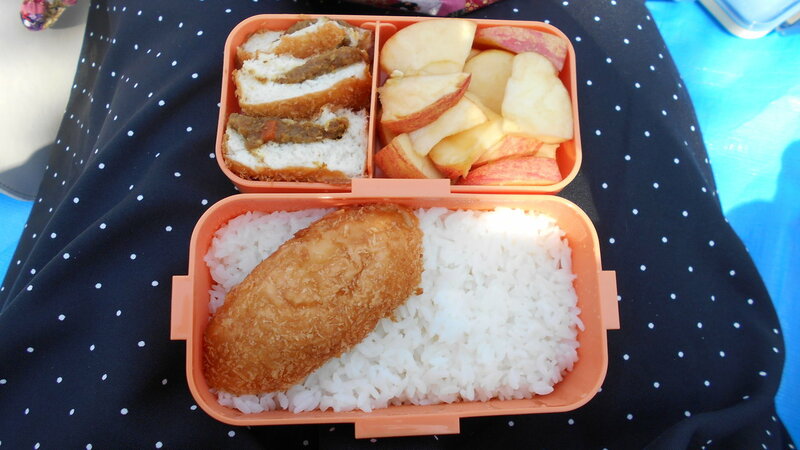 We were told to bring our own lunches and I decided to try to make my own bento. Unfortunately, the only cooking equipment I have is a fruit knife, spoons, chopsticks, a small bowl and microwave ovens in the common space downstairs. I decided to go with slicing an apple and a curry bread, and some rice I only had to microwave (you can get those from convenience stores). 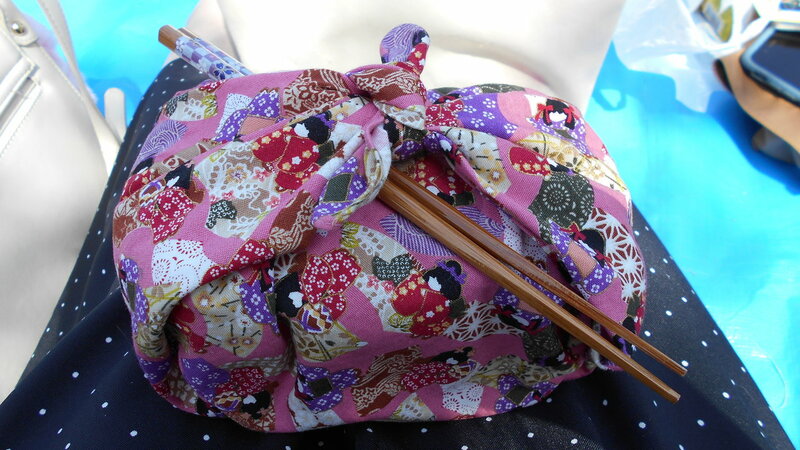 I also tried to fold a Japanese cloth, furoshiki, around my bento box to make it look authentic, but as I was in a hurry, it ended up looking kind of sloppy. 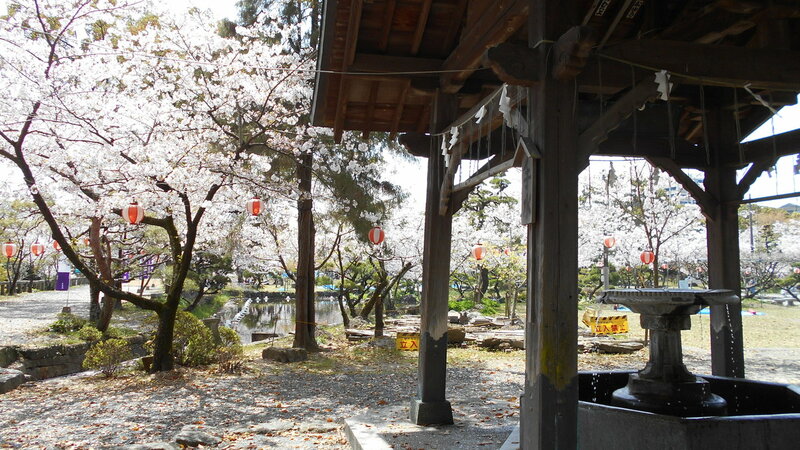 As a part of our Japanese lesson in the park, we sat down under the cherry trees with our classmates (we were divided by who teaches us) and wrote haiku. 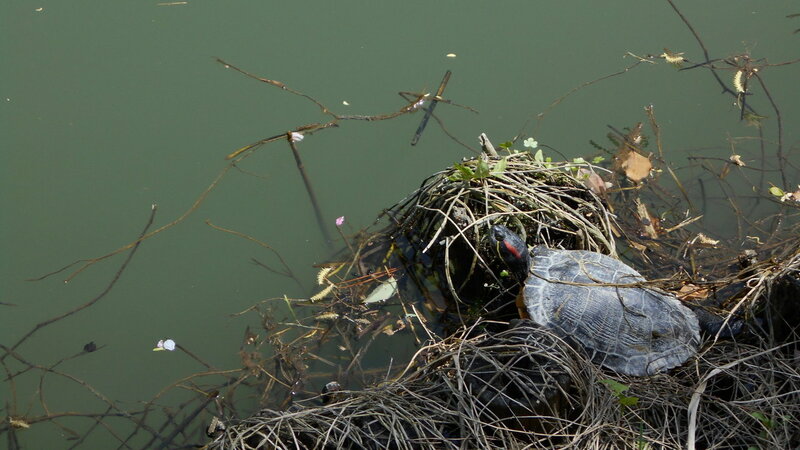 Haiku is a short Japanese poem that consists of five-seven-five syllables – first part has five syllables, second one seven and the last part five again. It is a short description of a moment. Almost every teacher held a small haiku writing competition to their students. Our teacher teaches two different levels of Japanese and she made us vote for the best haiku in both classes. I came in shared first place in our class and got to pick up a small prize. I chose a hair clip with a nice Japanese pattern. 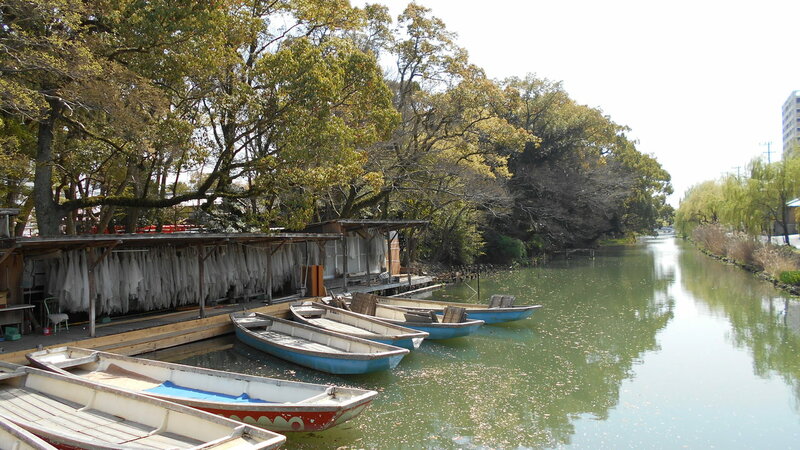 On Saturday, me and a couple of my friends went to Yanagawa, which is an hour or so away from Fukuoka city by train. Yanagawa is famous for its canals and eel dish unagi. There was a hina matsuri (more about hina matsuri in a post Birhday and Baseball) held in Yanagawa and we wanted to take the gondola from Mihashira shrine to where the matsuri was held. We visited the shrine before the gondola ride. It was very sunny when we got on the gondola and the gondola chauffeur offered us to lend some hats to prevent sunstroke. Our trip took about an hour and it was nice and relaxing as the chauffeur talked about the canals and sang songs – although it was all in Japanese and we only understood things from here and there. The closer we got to the matsuri area, the more we saw hina matsuri decorations around the canal. The signature puppets were on display in showcases and as wooden figures. When we got to the end of the gondola ride, we decided to walk around to see if we could find a place to eat. It would’ve been interesting to taste the unagi, but the restaurants were so expensive that we ended up buying snacks from a convenience store. I’m going to try unagi some time here in Fukuoka. During our search, one of my friends dropped her ring down a street inlet. I was sure that she would never get her sentimental ring back and felt bad for her. 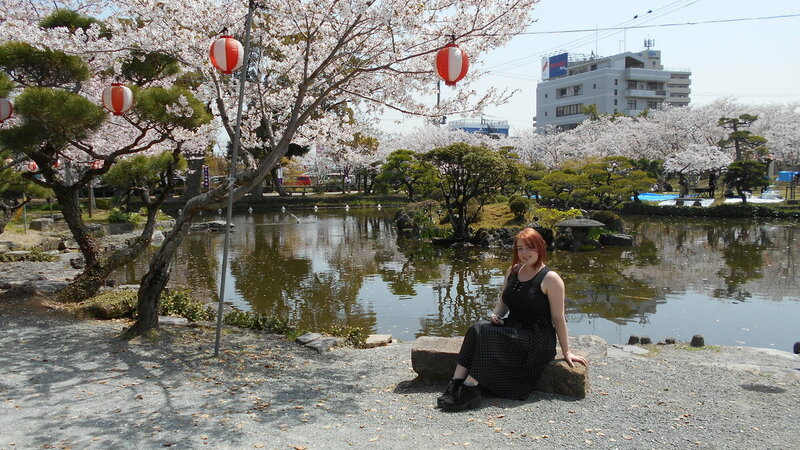 Fortunately, a Japanese lady came to help us and fished the ring back. It was moving to see my friend’s relieved smile as she got to witness Japanese gentleness yet again. This week I want to go back to the beach and enjoy the heat as long as I can.